Before considering the emotional life of the rat, we must begin by trying to define an emotion. This is a really difficult concept to pin down with words, especially since definitions vary between different areas of scientific study. This is my attempt. An emotion is a conscious experience that is felt. It is essentially a biological reaction to environmental or social triggers; a cascade of neurotransmitters in the brain – and hormones around the body – that creates a felt experience, which is informed by external circumstances and (especially for humans) by thought. Within social grouping animals (including humans), emotions seem to have evolved to catalyse relationships and allow fluid adaptive behaviours. Social environments are not static, and individuals who are able to adapt in respect to relationships with the group – and individuals within it – are more likely to thrive and reproduce. Can we measure the emotional life of the rat? Much scientific study has been done to understand the nature of the emotional life of higher mammals, such as rats. There is a growing wealth of evidence to suggest that rats not only experience the basic emotions listed, but that they can show various aspects of empathy, cognitive bias and other ‘higher’ emotions. However, because the emotional life of the rat (or any non-human animal) is difficult to measure or quantify, it is also impossible to accurately say “This is how it feels to be a rat.” All we can do, is study the available evidence and draw our own conclusions from it. One way of describing emotion at a functional level – rather than when they are muddied by cognitive processes; as they are for humans – is that an emotion is an evaluation of an event (either consciously or subconsciously) in order to determine how the event will impact a goal. As an example: if the goal of a rat is to be safe – a major goal for all animals, but perhaps closer to the surface for those who might easily become someone’s dinner – then the goal would be impacted differently by different circumstances. If a rat were to smell a passing cat, there would be a negative impact – I do not feel safe – experienced emotionally as fear. If a rat was resting in a warm nest, with a relative asleep beside him, there would be a positive impact – I feel safe – experienced emotionally as happiness (comfort, contentment). In each situation the feeling is driven by different physiology. The cascade of neurotransmitters and resulting hormonal soup in response to smelling a cat, would include stress hormones like cortisol and adrenaline, to initiate a freeze-flight-fight response. The resting rat, in the company of a bonded friend, would be experiencing the calming effects of neurotransmitters like serotonin and oxytocin, enhancing the feeling of well-being and restfulness, as well as increased relational bonding. Note that love is not considered to be one of the basic emotions shared by all mammals. When considering the emotional life of a social mammal, such as an elephant, dog or rat, I think we would be foolish to discount their ability to experience a feeling of deep bonding. The real difference is that, as humans, we often over think our emotional world, write books about it and make Hollywood films to popularise our fairytale princess version of its expression. Many of us are confused about what love really is. Love is – biologically – a feeling of deep bondedness, and can occur within or across many species. It’s not special as an emotion, in as much as it “works” in the same way as the others; our bodies produce a physiological response to our evaluation of an event that impacts on our goals. In this case the goal may be to belong, to feel safe, to be protected, to nurture, or to reproduce. 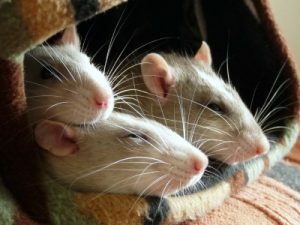 Grief at the loss of a life long companion is an indication of deep-bonding in rats, as is much of their day to day social behaviour, such as non-self-grooming and the favouring of their familiar human over all others. The research available into rat behaviour, shows that rats show empathy, cognitive bias and learned helplessness, as well as some higher cognitive behaviours, such as, being able to base their decision-making on what they are aware that they do – or do not – know. They have some concept of ‘self’ and a sense of ‘other’ in terms of friend, predator or prey. They co-operate socially and demonstrate morality in the widest context of the word – knowing (and often doing) what is right for the good of the group. Empathy: this is a sophisticated social emotion based on sharing (experiencing) the emotion of another creature, in a given set of circumstances, made more intense by having experienced something similar yourself in the past. The experiment detailed above, demonstrates that a rat will show empathy in working to help another rat in distress, and all the more so, if they have previously experienced the same circumstance themselves. Cognitive bias: this refers to the way that decision-making is affected by a pessimistic or optimistic emotional state, at the time of making the decision. Rats who were tickled and played with by their human, before being given a task to complete for either a great food reward, or a mediocre food reward, took a more optimistic approach to their decision making, than those who were not positively primed. Learned helplessness: this is a feeling that arises in many species, when all choice and control over their environment is removed. When bad things happen, regardless of what we do to try to stop them, learned helplessness kicks in and we stop trying. It’s a “shut down” state of passive acceptance of whatever happens, akin to depression. Loss of control over one’s environment will lead away from mental and physical well-being, towards stress, passivity, social anxiety and aggression. This happens across many species. 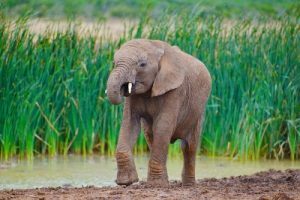 Elephants, for example have been shown to suffer from Post Traumatic Stress Disorder (PTSD), when orphaned as youngsters in violent circumstances. Choice is considered to be so important to well-being, that simply knowing there *is* a choice is enough to help overcome adverse situations. Before closing, I would like to suggest that although we might have a superior cognitive ability than other mammals, many species are superior to us in other ways. Rats hear and communicate in ranges we can only experience with electronic help. Dogs smell vividly and their experience of the world through scent is so much richer than ours, that it would be hard for us to imagine – let alone experience – it. Bats can catch an insect in the pitch black while flying! To see other mammals as ‘lesser’ than us is an inaccurate evaluation. In many ways the emotional life of the rat may be far richer than ours, because it is probably less affected (and devalued) by thinking. Rats, in common with many mammals, *feel* life. We, very often, *think* it! 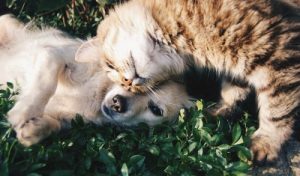 Excellent website with ongoing new articles about the emotional life of animals. Scruton, R; Tyler, A. (2001). “Debate: Do animals have rights?”. The Ecologist 31 (2): 20–23. (looks at the work done on the physiological responses in animals when undergoing ’emotional’ experiences). Rygula, R; Pluta, H; Popik, P. (2012). “laughing rats are optimistic”. PLoS ONE 7 (12): e51959. doi:10.1371/journal.pone.0051959. (rats showing the cognitive bias effect). Ruchey, A.K; Jones, C.E; Monfils, M.H. (2010). “Fear conditioning by-proxy: social transmission of fear during memory retrieval”. Behavioural Brain Research 214 (1): 80–84. (rats showing empathetic behaviours). Panksepp, J.B; Lahvis, G.P. (2011). “Rodent empathy and affective neuroscience”. Neuroscience and Biobehavioral Reviews 35 (9): 1864–1875. doi:10.1016/j.neubiorev.2011.05.013.